Rosee Xiong barely remembers a day when she didn’t have her fingers on a computer keyboard or some other piece of technology. That youthful passion paid off this year when the Wisconsin affiliate of the National Center for Women & Information Technology named her one of its top award winners. The national organization works to increase the number of women in computer-related jobs. The awards recognize college-bound female high school students who have excelled in computers and technology and have strong records of achievement in leadership and academics. 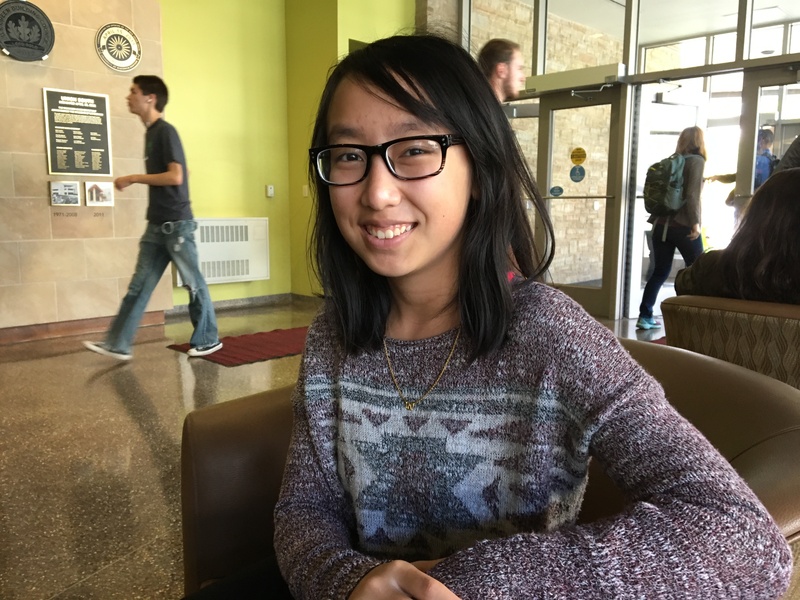 Xiong, a freshman at UW–Madison, honed her computer-related skills through the university’s Information Technology Academy, a college pathway initiative. The precollege program prepares diverse students for success in higher education through academic work, leadership opportunities, and instruction in areas such as web design, coding and graphic design. A graduate of Madison East High School, Xiong began the precollege program there four years ago as a freshman. In June, she was named the 2017 winner of the Legacy of Excellence Award, given each year by the program to one student for his or her scholarship, leadership, personal growth and commitment to the program’s goals. While in the program, Xiong entered its T-shirt design contest three times. Her graphic designs, digitally created, won twice. As a graduate of the program, she is attending UW–Madison on a full-tuition PEOPLE scholarship. She has not declared a major but says her computer-related skills will be a boon to whatever career path she chooses. Education has been a strong theme in Xiong’s family. She is the ninth of 14 children, and six of her older siblings have attended college. Four are graduates of UW–Madison. Like 17 percent of this year’s freshman class, she is a first-generation college student, meaning neither of her parents holds a four-year college degree. Her parents immigrated to the U.S. from Laos with little more than a suitcase each. Xiong, who is Hmong, was born in Madison. Her parents encouraged her and her siblings to go to college, Xiong says, but in a somewhat indirect, trickle-down way. Xiong says her mother, who died of cancer last year, would have been very proud that she made it to college. Raised in a diverse neighborhood, Xiong says she didn’t realize until middle school that her ethnicity made her different from most of her classmates. By the time she got to high school, she had decided that instead of being afraid of being different, she would embrace it. She is taking the same approach at UW–Madison. In her first class, she was one of three minorities out of 20. Why I chose UW–Madison: It’s close to home, and it was always my mother’s dream that I would go here. What I’m most looking forward to this year: Getting to know the campus. Though I grew up in Madison, it’s so huge! Something on my Bucky list: Taking a photo with the Abe statue —but in four years, when I’ve graduated. “Brand New Badger” is a series of profiles spotlighting notable new students on campus this fall.